This is so rich and creamy! The kids loved the mild flavor of the cheeses and already mentioned wanting to eat the leftovers. 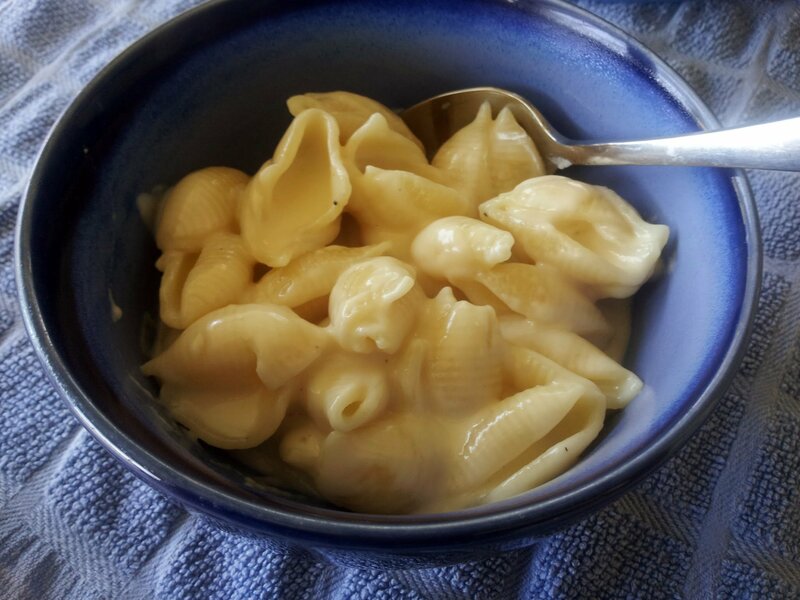 Hopefully my picky husband will appreciate it – he’s hard to please when it comes to new macaroni and cheese recipes. His absolute favorite is this one, and no other recipe I have tried can hold a candle to it in his opinion! His verdict: 7 out of 10! I’ll take it – besides, he ate two bowls and happily brought some to work the next day. Thanks for reading, enjoy! 1. In a large stockpot, cook pasta according to package directions. Drain well. 2. While the pasta cooks, melt the butter in a 4-quart sauce pan over medium heat. When the butter has melted and has started to bubble, whisk in the flour; cook for 1 1/2 minutes whisking constantly. Gradually whisk in the milk until no lumps remain. Reduce the heat to medium-low and cook milk mixture, whisking frequently, until it thickens and bubbles, about 8 minutes. 3. Remove sauce pan from the heat and by the handful, stir in the cheeses allowing all of the cheese to melt into the sauce before adding more. Stir in the mustard, salt, and hot sauce. Return the sauce pan to the heat and stir in the pasta. Be sure to stir up the sauce from the bottom of the sauce pan and thoroughly coat all of the pasta with sauce. Cook for 1-2 minutes over medium-low heat until heated through. Serve hot in bowls with spoons. i like the addition of Red’s hot sauce.